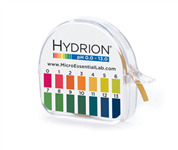 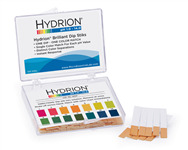 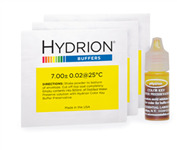 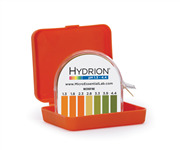 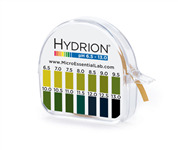 Micro Essential Laboratory’s Hydrion line of pH products has been used by laboratories worldwide since 1934. Our pH papers offer fast and accurate readings across the entire pH range and we offer pH buffer standards for every 0.1 unit from 2.0 to 12.0. 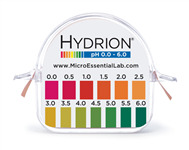 Our Ultrafine papers indicate pH with as little as 0.001 mL of solution with clear color matches every 0.2 or 0.3 pH units. Hydrion D/R Dispenser 0.0-6.0 Brill.